Are you looking for a Toronto dental implant? Chrysalis Dental Centres is proud to offer Permanent Teeth-in-a-Day supported by Dental Implants to Toronto area residents. This procedure can give patients their teeth back in just one day! Unlike traditional removable dentures or several other dental implant methods, Chrysalis Canada’s Permanent Teeth-in-a-Day technique will make it possible for you to eat on the same day you receive your new teeth! 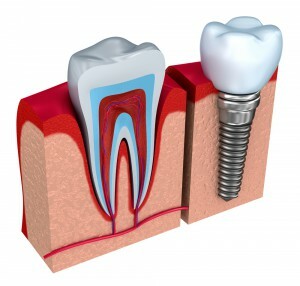 We provide dental implants to people all across the GTA who want to replace their removable dentures or failing teeth. Our Permanent Teeth-in-a-Day Procedure usually avoids the painful bone grafting and longer transition times associated with traditional dental implant methods. Chrysalis also offers single dental implant solutions. No matter what kind of dental implant solution you choose, Chrysalis Dental Centres in Toronto would like to help transform your smile and build your confidence. Our Toronto Dental Implant facility is conveniently located just south of Steeles Avenue between Dufferin and Keele. This location also serves as our Toronto Head Office and Education Centre where many of our surgeons also lecture to dental professionals regarding dental implant protocols and techniques. Many people look for information for a dental implant and aren’t sure which Toronto sites are truly informative vs. focused only on sales. Chrysalis Dental Centres have published a set of very important questions that you should ask any dental provider. Whether you’re looking for a dental implant in Vancouver, Calgary, Toronto, or any other city, these questions are helpful. Dental implant research can be confusing. Dental implants are a little bit different from other treatments as many of the dental implant professionals as well as general dentists offer this treatment. 1. How many dental implant patients have you serviced in the last year? 2. How many of your dental implant patients can I speak to directly? To Request More Information about our Toronto dental implant solutions, contact us today.